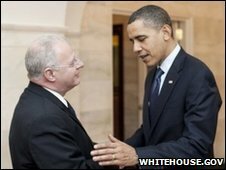 President Obama's long awaited cybersecurity tsar faces a "tough job", Security experts have warned. Despite saying the issue was a priority for the government, it has taken seven months to find someone to take the job. Howard Schmidt, a former eBay and Microsoft executive was appointed after others turned the post down. "I bring to this challenge lessons learned during 40 years of experience in government, business and law enforcement," said Mr Schmidt. "In our digital world the information technologies we depend on every day present us with great opportunity and great danger - for our national security, public safety and economic competitiveness as well as our personal privacy," added Mr Schmidt in a video broadcast posted on the White House's website. While applauding the appointment of the country's first cybersecurity co-ordinator, security professionals have also expressed some frustration at how long it has taken to fill the post. "While I am disappointed that it has taken this long, I am happy the government spent the time to get the right person for the job," said Ken Silva, the chief technology officer of VeriSign and someone who has known Mr Schmidt for around eight years. "What he brings to this job is the right level of senior government experience and industry experience. That is something that is hard to find. "Before getting down to the technology challenges he has to establish himself within government and industry in this new role," Mr Silva told BBC News. Mr Schmidt served under President George W Bush for three years, where his tasks involved reviewing how to improve network security for government agencies, the private sector and citizens. Some in the industry warn of the political pitfalls ahead as Mr Schmidt tries to pull together a number of government agencies and their various cybersecurity issues. "I think it will be a very tough job. He's going to have to herd some cats," said Roger Thornton, CTO and founder of security vendor Fortify Software. Cisco's chief security officer John N. Stewart agreed that Mr Schmidt has his work cut out for him. "Today more than ever, we need greater collaboration between government and business leaders to help enable national security and public safety, provide for economic prosperity, and ensure the delivery of critical services to the American public." In Mr Schmidt's video broadcast, he said that the President has already directed him to focus on several priority areas. These include "developing a new comprehensive strategy to secure American networks, ensuring an organised, unified response to future cyber incidents, strengthening public/private partnerships, promoting research and development for the next generation of technologies and leading a national campaign for cybersecurity, awareness and education". "When it comes to cyber security our vulnerability is shared," said Mr Schmidt. In May this year, President Obama pledged to personally appoint someone to the post. Mr Schmidt will have "regular access to the President and serve as a key member of his National Security Staff," said John Brennan, assistant to the President for homeland security and counterterrorism. The White House's acting cyber-security head, Melissa Hathaway, stood down in August after complaining that the post did not allow her to implement necessary changes. News of Mr Schmidt's appointment comes amid claims in the Wall Street Journal that the FBI is investigating a hacker attack on Citigroup Inc that led to the theft of tens of millions of dollars. 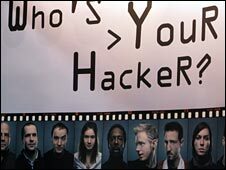 The newspaper has reported that the hackers were connected to a Russian cyber gang. Citigroup has denied the report.